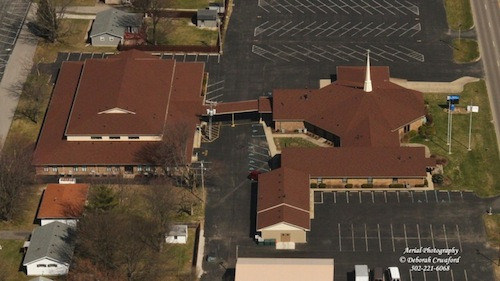 In 1954, the First Assembly of God Church opened with 20 members in a small building in Madison, Ind. Today, Lead Pastor Peter Joudry and his wife Ruth head a large congregation that serves the Madison Hilltop community from its eight-building church campus. In 2011, a storm and small tornado rolled through the campus, damaging the roofs of seven campus buildings. 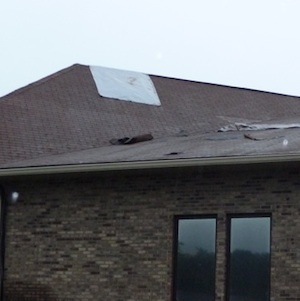 With portions of the roof exposed, leaking and the threat of additional storms, the church called Exterior Pro. Once the immediate threat of leaks was resolved, we began to work with the church and insurance adjustors to establish permanent repair plans and budgets. With long-term interest and budget in mind, we recommended several courses of action and worked with them to find an ideal solution. “[Aaron] presents options to the client in a variety of ways to ensure that the selection process is both understandable and easy,” according to Pastor Joudry. Because the church serves its community in many different ways, the campus was fairly busy with both foot and vehicle traffic, especially in the evening. It was a unique challenge as we wanted to avoid disturbing ongoing church activities, if possible. 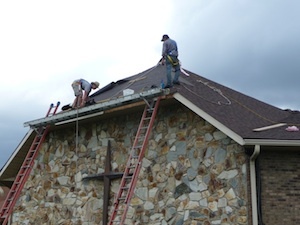 Because it was such a large-scale job, we worked with the church to section-off areas of the roof, and perform the necessary tear off and repair work on one section per day. Each morning, our crews arrived early, set up necessary equipment, staged the area of the day’s work, and flagged-off work areas. 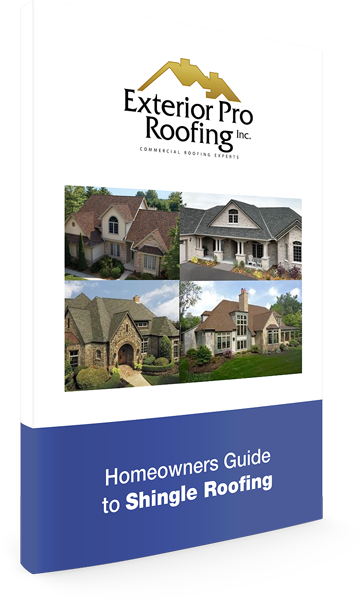 Roofing materials were delivered daily so that no material was left onsite overnight. 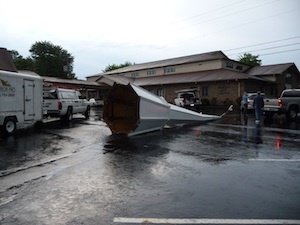 Crews removed the predetermined section of damaged roof, replaced it, and hauled away any debris each day, leaving the church campus clear of material, trucks and equipment by 5 p.m. Section by section, the shingled roof was repaired until all damaged areas were rebuilt. 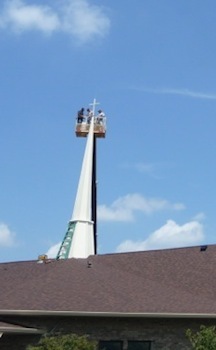 We then replaced the gutters, and set the new 35-foot steeple. After all was said and done, the roof was repaired on budget, on time, and at no point were church activities interrupted.